Does your brand need a tuneup? 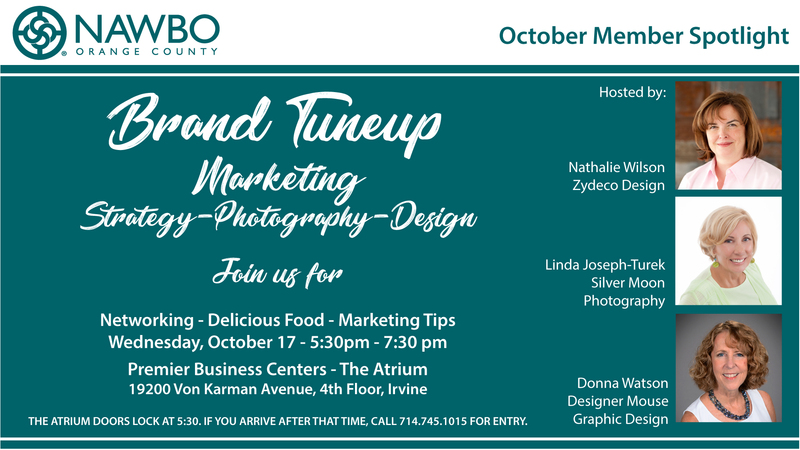 Come learn from three marketing specialists, Nathalie Wilson of Zydeco Design, Linda Joseph-Turek of Silver Moon Photography and Donna Watson of Designer Mouse Graphic Design. Enjoy networking, delicious food, and fabulous marketing tips!